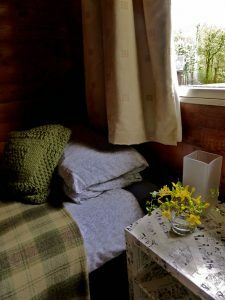 We hope you enjoy your stay in Puck’s Lodge which is situated on the edge of the beautiful Pucks’ Glen in between Loch Eck and the Holy Loch. Just six miles north of Dunoon, in the Loch Lomond and Trossachs National Park. Puck’s lodge is one of just 18 privately owned lodges on a small development nestled next to Pucks Glen and known collectively as Lamont Lodges. Situated in an area of outstanding natural beauty the lodge is ideal for simply relaxing, exploring Argyll, eating out, enjoying the wildlife, mountain biking, walking, stalking, fishing, visiting Glasgow . . . the possibilities are endless! More photographs of the lodge. A dining area with large dining table and a fully equipped kitchen with electric cooker, microwave, fridge/freezer, dishwasher and ample crockery, cutlery, glassware, and pans. A large separate comfortable lounge with TV,Amazon Fire TV with Movies , CD Player and IPod docking station, radio and a small library of books and CD’s. Electric heating: night store heating in lounge, double bedroom, and hallway, and convector heating in all other rooms. Dedicated car parking for two cars adjacent to the lodge. Well behaved pets are welcome (in living areas only). A secure Gun Cabinet is provided for stalkers to safely and legally secure their guns. Download the brochure (1.5MB) for all the information you should need to plan your holiday and get the most from your stay. Join our mailing list to receive news and special offers from Puck’s Lodge.